Religion in ancient India: The caste system slowly gave rise to many other religions in ancient period. Hinduism which was dominant got tough competitions from other religions like Buddhism, Jainism, Christianity and Islam. Religion has been a significant and important factor influencing the lives of the people in India from earlier times. Philosophy developed in India along with the religion. Many sages developed different techniques and methods for the development of religions and philosophy in India. These sages developed the theory of Atma. Accordingly Atma is the true source of happiness. Religion in ancient India meant a way of life which helped human beings to realize and understand his true character and attain Moksha. Religion existed from time immemorial. There is evidence to show that religion did exist during the period of Mesolithic and Neolithic age. Religious beliefs during the Vedic and pervedic period played an important role in development of society and human beings. From the excavations at the sites of Indus valley civilisation it is evident that Hinduism was prevalent during this period. Seals of the Indus valley have swastic, one horn rhino and different yogic positions do prove that Hinduism did exist during ancient India. Swastic is a important symbol in Hinduism. During the Vedic period religions became more important. People became staunch believer in God. Aryans mainly worshipped God Agni (God of Fire), Vayu,( God of wind) Varuna (God of rain) Sun. It appears that during this period people worshipped forces of nature like Sun and Moon. Buddhism and Jainism did not believe in Vedic preachings. There preaching’s were completely different from the Vedas. Many of the preachers of these religions were Kshatriyas Both Buddhism and Jainism were atheistic creeds in the beginning. However, Buddhism believed in the doctrine of the Law of Karma and also upheld the belief in rebirths and the inevitability of suffering in the very existence of human beings. Many of these viewpoints can also be found in the major Upanishads. The most important factor that motivated the people was Bhakti, the single-souled devotion of the worshipper to a personal god whom he believed. This led to the evolution of different religious sects like Vaishnavism, Shaivism and Saktism, which came to be regarded as components of orthodox Brahminism. These sects in course of time gave rise to different forms of religions called as Buddhism and Jainism. Both the religions were developed in Maghada and still influencing the people of modern India. 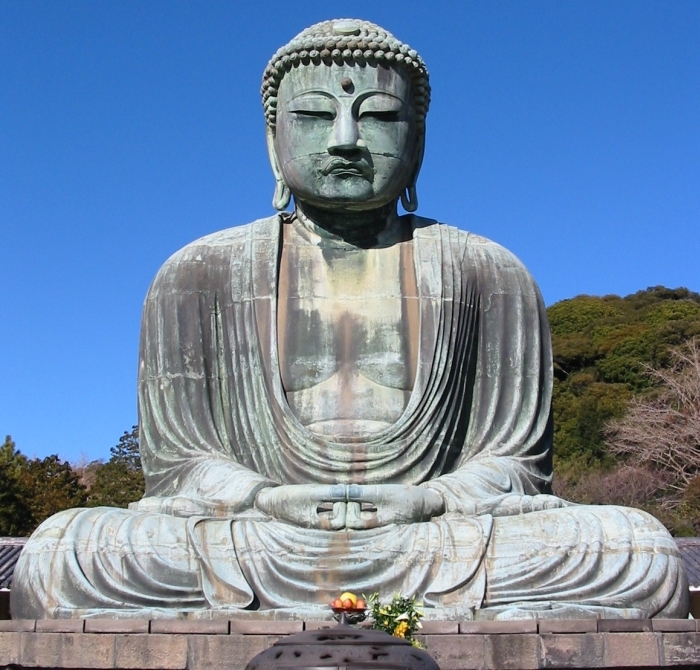 Buddhism and Jainism originated during 7th to 5th century BC. Buddhism originated in the state of Bihar in India. Both these two religions belong to sramana tradition. Sramana means seekers one who performs the acts of austerity. These traditions challenged the orthodox culture. Both the religions spread rapidly during this period. Sramana gave the concept of birth and rebirth samasara and finally the liberation. Jainism: Jainism is an ancient Indian religion that emphasizes complete non-violence and asceticism. Followers of this religion believe in renunciation and harmlessness and are called Jains. There are about 4 million Jain followers worldwide. According to the philosophers of this religion people should fight against the passions and bodily senses to gain enlightenment, or omniscience and purity of soul. Jains trace their history through 24 Thirthankara. The main aim of Jain preaching's rests on the understanding of the working of karma its effects on the living soul. They believe in complete Ahimsa, this can be explained by the fact that Janis wear mask to avoid inhaling of small organisms and thus hurting or killing them. Both these religions spread across India during the Magadha period. During the same period some of the other heterodox school that developed along with Jainism and Buddhism were Ajivka, Ajnana and Carvaka. Ajivikas were ascetics and even they rejected the supremacy of Vedas. Carvaka which was founded during Mauryan period believed in materialism.